Has your child has ever been challenged about carrying their Bible to school, wearing a T-shirt with Jesus or Scripture on it or simply mentioning the name of Jesus to a classmate? Focus on the Family wants them to know about their Constitutional rights to do any of the above on school grounds. Not only has Focus on the Family sponsored Bring Your Bible to School Day annually for the past four years, but it has published a downloadable section on its website, bringyourbible.org, courtesy of the Alliance Defending Freedom, that outlines believers' rights when it comes to activities like prayer, reading the Bible and Christian club activities. Bring Your Bible to School Day 2018 is scheduled for Thursday, Oct. 4. In an age of political correctness, Christian students may live in fear of retribution for expressing their faith while at school. Focus on the Family wants to alleviate the fear of students and their parents and for them to know it's OK to express themselves freely on campus. "One of the root misunderstandings by students about their rights comes from our own government, and many teachers and school administrators buy into it," says Candi Chushman, director of education issues for Focus on the family. "Students don't know what their rights really are because they are fed a great deal of misinformation. You wouldn't think that children would still be reprimanded for showing their faith at school because the courts have supported the basic rights of free speech. "If [your child is] giving a speech at your graduation, or simply reading your Bible during free time at school, your children are private citizens engaging in their rights to free speech. They are not the same as teachers or administrators, who are paid government employees. We hear phrases thrown out like separation of church and state, and you can't have establishment of religion. This is not correct in being applied to students, who are private citizens that are not speaking on behalf of the government for their school. We want to educate students and parents as to their right of free speech at school." Alliance Defending Freedom of Scottsdale, Arizona—a conservative Christian nonprofit organization with the stated goal of advocating, training and funding on the issues of religious freedom—says it provided the memorandum to clarify the First Amendment rights of public-school students, and to assist school districts and school officials in avoiding needless litigation. "Unfortunately, schools all too often censor religious expression for fear of violating the often misunderstood 'separation of church and state' for dislike of religious viewpoints, or for a desire to avoid controversy," the memo states. "But such uninformed censorship violates the First Amendment to the United States Constitution." The memo says, "Schools must allow students to bring Bibles to school, distribute Bibles and discuss the Bible with classmates ... —so long as these activities occur during non-instructional time." If the school allows students and student clubs to advertise events on school bulletin boards, PA systems or other means, they must allow students to advertise activities like Bring Your Bible to School Day in the same fashion. Religious speech, like Bring Your Bible to School Day, is "protected by the First Amendment and students do not abandon their Constitutional rights of free speech when they attend public school," Alliance Defending Freedom says. Cushman regales the story of middle-schooler Brytney, a student who was told not to have her Bible at school. Brytney pulled out her cell phone and showed her teacher the website, and the teacher relented his position. Brytney's story, among others, can be found on bringyourbible.org. You can also find videos from Riley Clemmons, Danny Gokey, Sadie Robertson, Lee Strobel and other celebrities talking about Bring Your Bible to School Day. Bring Your Bible to School Day, established in 2014 by Focus on the Family, saw 8,000 children participate in this activity the first year. Last year, Cushman says, more than a half million students participated across the nation. "That number is really encouraging. Praise God for these student leaders," Cushman says. "It's really amazing." And, Cushman says, events like Bring Your Bible to School Day are making a huge impact on students who, in turn, will impact future generations of students. "It's one simple action that is really powerful," Cushman says. "When you have thousands of kids doing it at the same time, it sends a message nationwide and lets Christ-believing kids that they are not alone. Religious rights and free speech rights are something schools should be teaching instead of censoring. These rights should be celebrated as an educational opportunity. "We are encouraging students, their parents and church leaders to go to the website and download the guide. The website gives a step by step of things you can do to help support the students participating." On Sept. 26, students around the world took part in yet another activity to glorify Christ called See You at the Pole, a grass roots movement begun in 1990 by a small group of teens in Burleson, Texas. See You at the Pole is a prayer rally where students meet at the school flagpole before classes to lift up their friends, families, teachers, school and nation to God. It is a student-initiated, student-organized and student-led event. 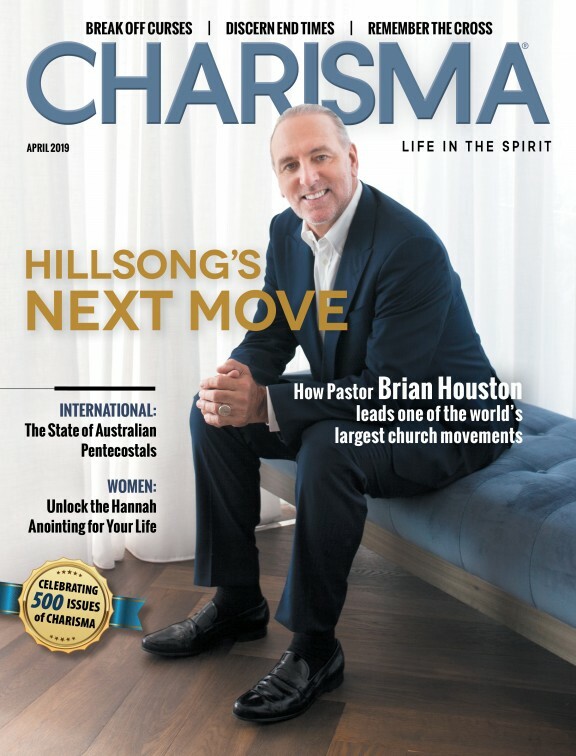 Shawn A. Akers is content development editor for Charisma Media.